Supercar automaker Bugatti went back to its roots at the Geneva Motor Show in March, marking its 110th anniversary with a limited-edition electric-pedal-car-sized 1920s Bugatti Type 35 racer for youngsters. Just 500 copies will be made starting in the fall, each selling for about US $33,000. Meticulously crafted, and with a 30-mph top speed (‘child mode’ is limited to 13 mph), it’s no slouch among toy cars. An optional Speed Key upgrade disengages the speed limiter for an even higher top velocity that Bugatti did not disclose. It has electric rear-wheel-drive, a limited-slip differential and even regenerative braking. Each car wears the famous Bugatti badge, each one bearing 50 grams of solid silver. 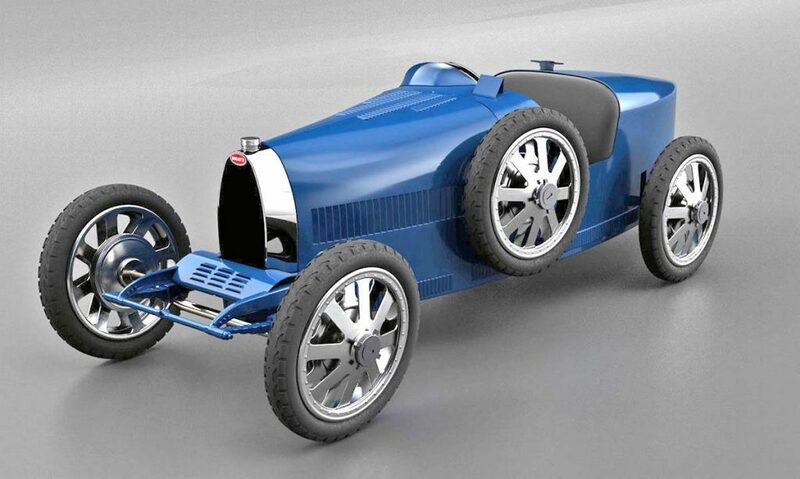 Bugatti will make 500 pedal-car-sized copies of the 1920s Type 35 racer. The top advertised speed is 30 mph. They go on sale this fall for about $33,000.